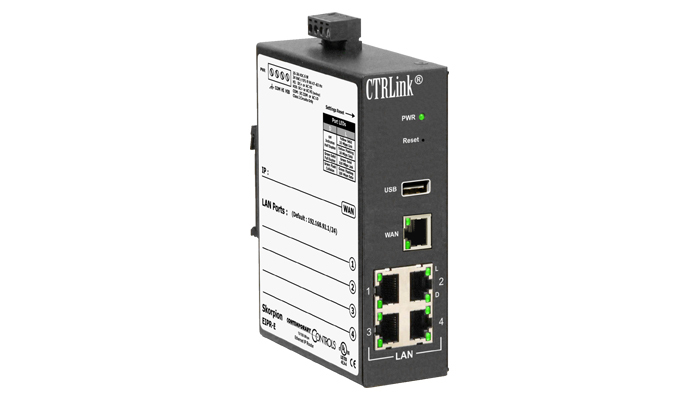 Ethernet continues to evolve as the network of choice for automation systems due to its high speed, familiarity among users, and ability to easily connect to the Internet. But the environment can be demanding. The equipment must be robust, reliable, and easy to install, maintain and use. It must carry proper regulatory approvals and, in some instances, withstand harsh outdoor temperatures. Office-grade equipment, with its frequent model changes and inconvenient mounting, does not stand up to these demanding needs. 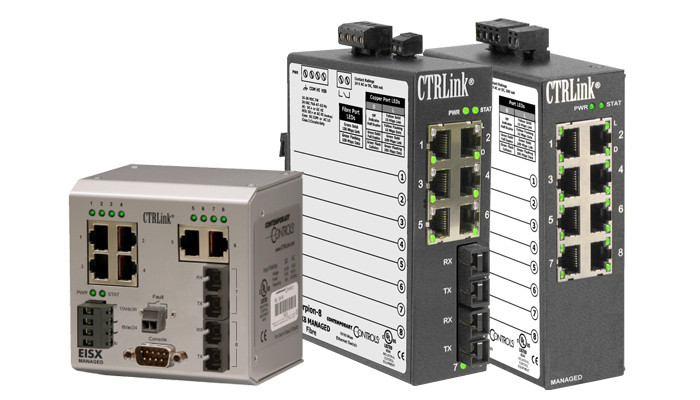 Designed for unattended operation in environments not conducive to office-grade equipment, CTRLink overcomes the challenges that Ethernet presents to the automation professional by providing convenient mounting in control panels, low-voltage power wiring, improved EMC compliance, and reliability. 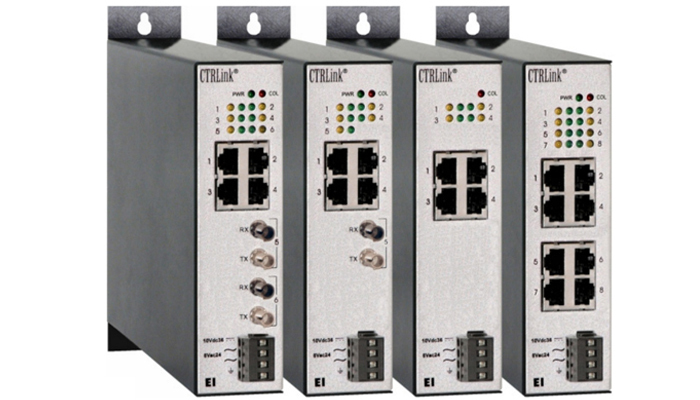 All CTRLink product enclosures are metal and intended for direct panel, rack or DIN-rail mounting. Metal DIN-rail clips prevent damage during installation. Most products can share with other automation equipment a common 24 VAC/VDC power source, eliminating the need for a dedicated mains-powered transformer. Most models have provisions for redundant power sources to accommodate back-up strategies in critical applications. 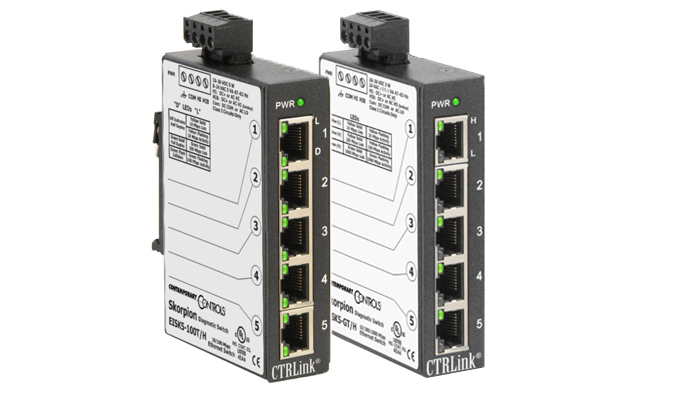 Plug-and-play unmanaged switches can be put into service without adjustments and provide a simple, cost-effective method for expanding Ethernet networks. Some models include features such as auto-MDIX and auto-negotiation. 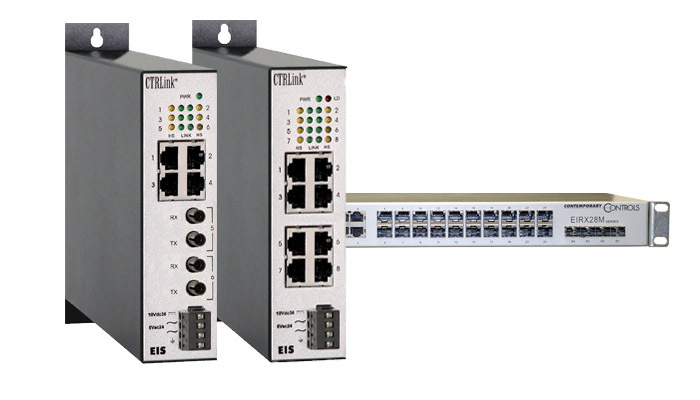 The ultimate in performance and flexibility can be found in a SNMP compliant managed switch. By configuring the switch through either a web page or console screen, features such as virtual LANs, Quality of Service, cable redundancy and port mirroring can be invoked. The diagnostic switch retains all the virtues of a switch with one exception—no address learning. All messages—directed, multicast, broadcast—are flooded to all ports on the switch allowing a protocol analyzer tool such as Wireshark the ability to observe all traffic on the network. 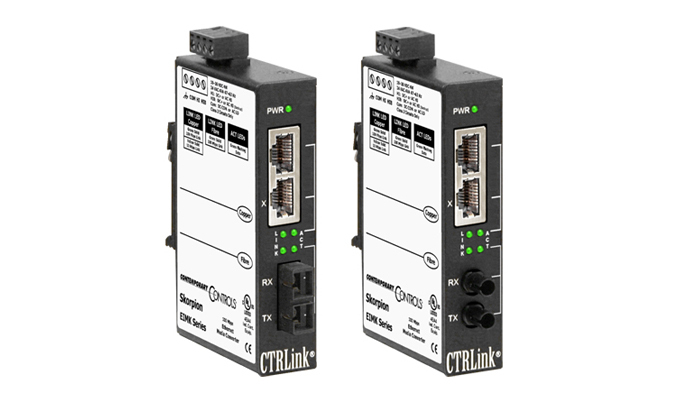 Media converters offer the lowest latency because they are pure media converters and not 2-port switches. Conversion from copper to fiber optic cabling is possible without the loss of autonegotiation features. IP routers link two Internet Protocol networks together—passing appropriate traffic while blocking all other traffic. One of the networks is designated the local-area-network and the other the wide-area-network. 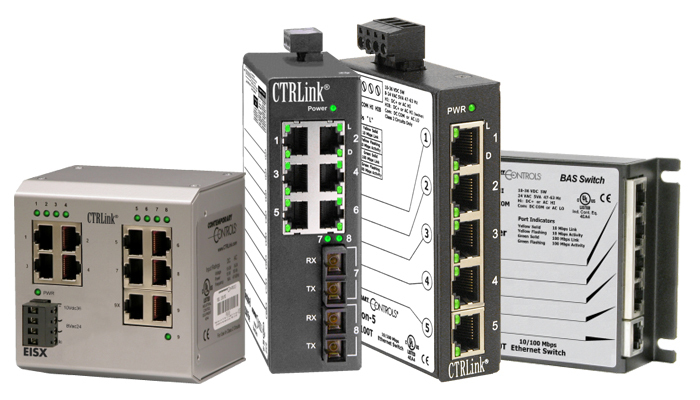 IP routers are used to isolate traffic and for gaining access to remote equipment. 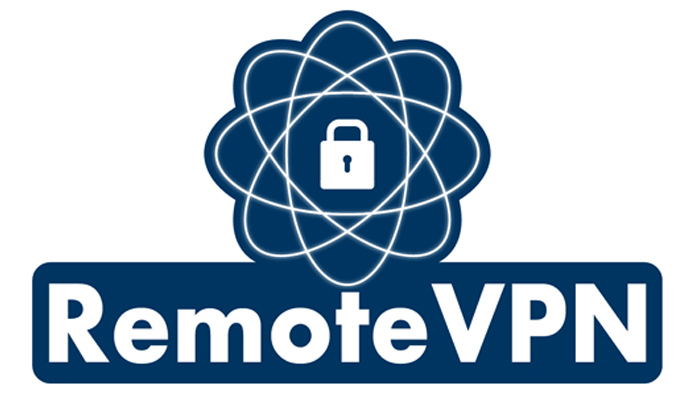 RemoteVPN is a service offered by Contemporary Controls that allows systems integrators remote access to systems from the convenience of the systems integrator's home or office. A cloud-based VPN server hosted by Contemporary Controls provides the critical connection between two VPN clients - one installed on the systems integrator's PC and the other permanently installed on Contemporary Controls' VPN router located at the remote location. 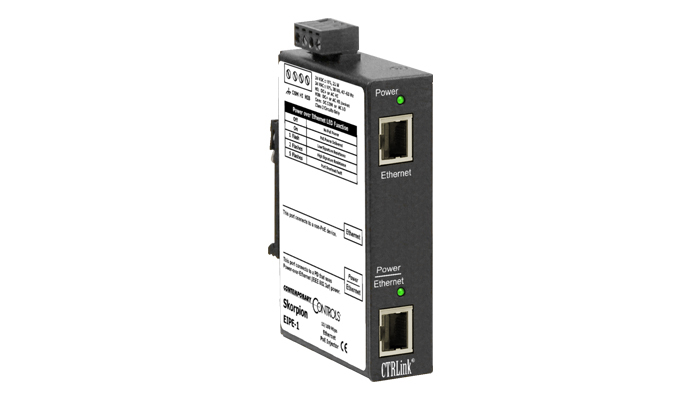 Power over Ethernet provides data and power over one cable, thereby eliminating the need for additional power supplies for Ethernet-enabled devices placed in challenging locations—such as wireless access points or IP cameras on a ceiling or outdoors. These products comply with the requirements of Underwriters Laboratories (UL) 864 Control Units and Accessories for Fire Alarm Systems 10th Edition. A UL recognized component has already been evaluated and tested in accordance with UL's component safety standards, streamlining the qualification process for the system supplier. Can't find your product? Check out our Legacy Products for discontinued items. Technical support materials are still available and replacement information is provided.